On the day of her middle school entrance ceremony, Momoka meets a flying cat fairy who guides her to a jewel shop owned by a mysterious woman named Tiara. 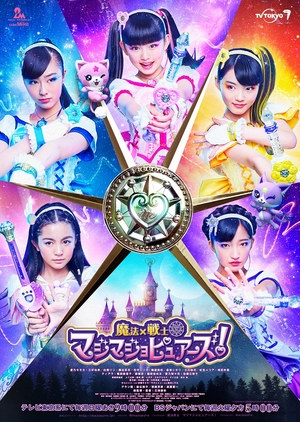 Tiara gives Momoka a magical item called a Majoka Porte which allows her to transform into a Magi Majo Pure. Together with the other Magi Majo Pures, she uses magic to fight against the JamaJama-dan, an evil group who are trying to take over the world by robbing people of their hopes and dreams.